Running your label or music career just got easier. 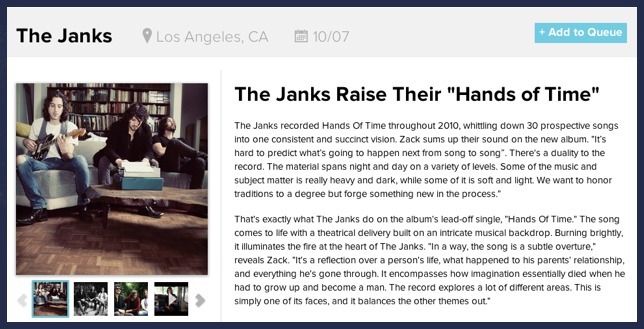 Create a gorgeous music press kit for your release or tour so we can send it to relevant journalists by email for free. Our lists have been refined over a decade of experience securing music press for clients. Our lists are solid traditional media; media that makes a difference for sales. Increase your chances of press coverage. 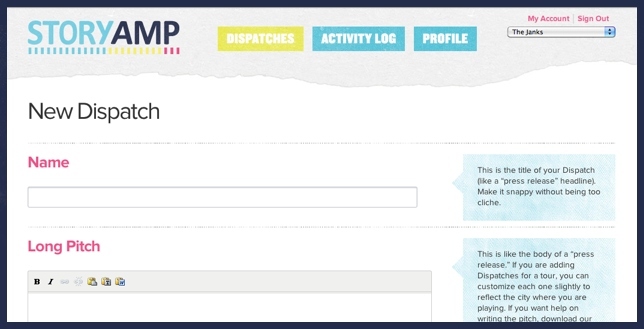 StoryAmp walks you through the steps of putting together everything a journalist needs. Keep track of all your press email outreach, scheduling automatic emails all in advance of a tour or album campaign so you can stay focused on playing your best. Start with a free account. 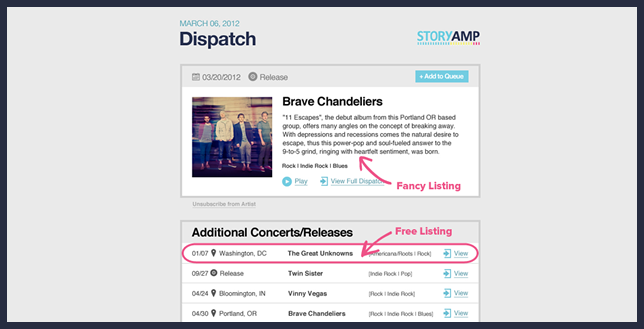 Use the free listing service or upgrade your email notices to journalists. It's up to you! Real time press activity logs. 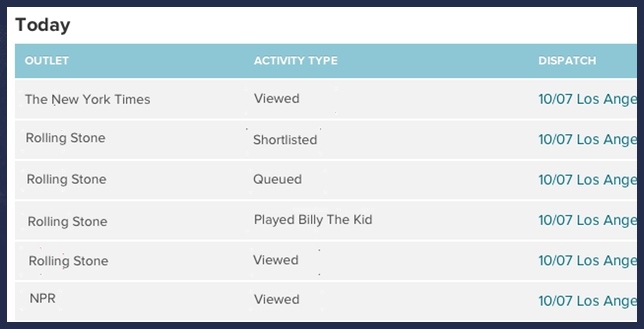 StoryAmp's activity logs allow you to see in real time what media outlets are seeing your Dispatches and how they interact with them. Did the New York Times just listen to track 1? Did the Washington Post just request your album? 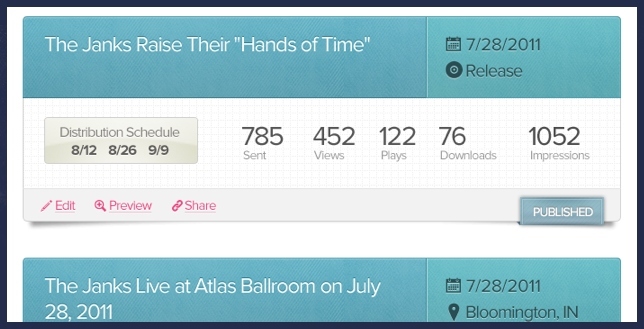 You can see that from your StoryAmp Activity Log. You can also compare the press reaction from one concert market to another. Unlimited photos, videos, and audio. Sign up is free and only takes a few minutes. You are not obligated to upgrade or pay anything and currently there is no time limit on use of the free account.